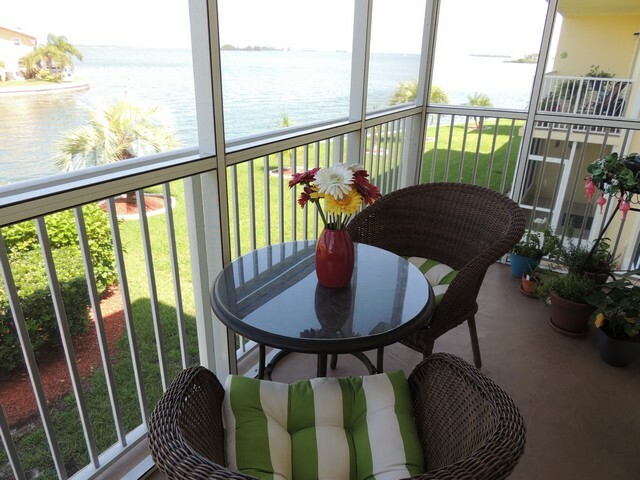 464 Paula Drive North, #208, Dunedin, Florida is a 2 bedroom, 2 bath waterfront corner unit on the second floor of an elevator building with water views of St. Joseph Sound. The current owners have spent considerable money upgrading this home recently, which potential buyers are sure to appreciate. 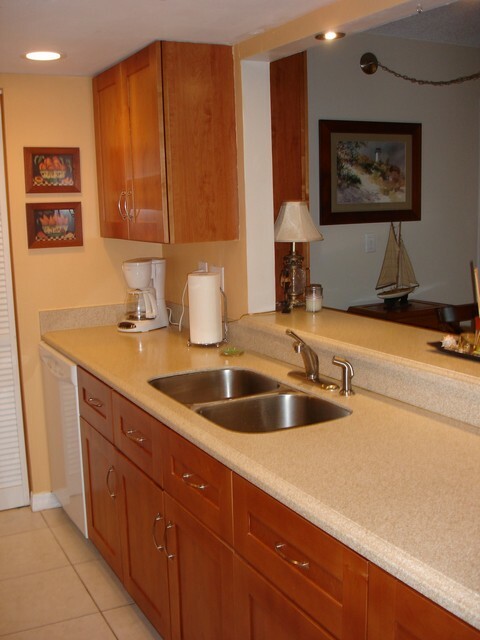 These improvements include new hardwood flooring, brand new windows and sliding doors, and Shaker-style, quality wood cabinets and solid surface countertops in the kitchen. 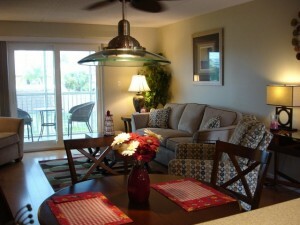 This home offers a split bedroom plan where each bedroom is located on opposite sides of the unit for maximum privacy. 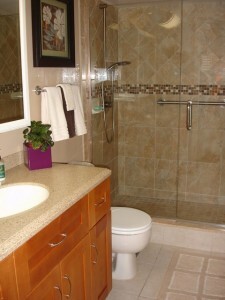 Both full bathrooms have been remodeled with new vanities and custom tile work in the master bath shower. Additionally, both bedrooms offer wonderful storage with walk-in closets. And perhaps the most sought after feature of this home is its private screened balcony with waterfront views to the north and west. It is the perfect spot to sit at the table and enjoy a meal or cool drink while watching dolphins play in the water during the day, and to take in the dazzling colors of the sky during sunset. 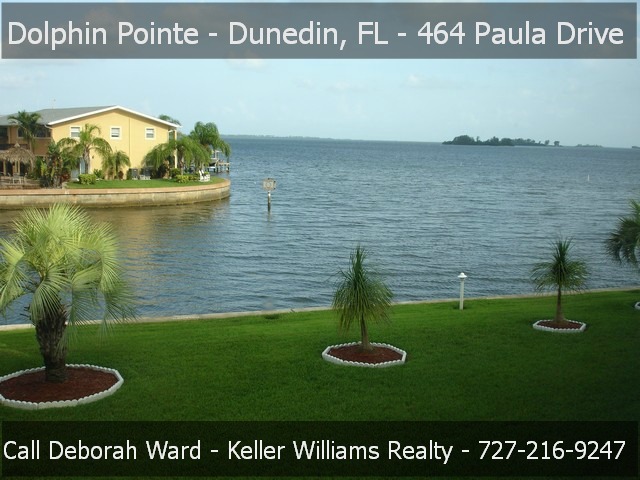 The Dolphin Pointe community is a small intimate building, and offers many desirable amenities for waterfront living. The waterfront swimming pool is heated for year-round enjoyment. Next to the pool is a storage area for kayaks which you can launch right from the property. A fishing pier and grilling area are also on the waterfront for the exclusive use of Dolphin Pointe residents. 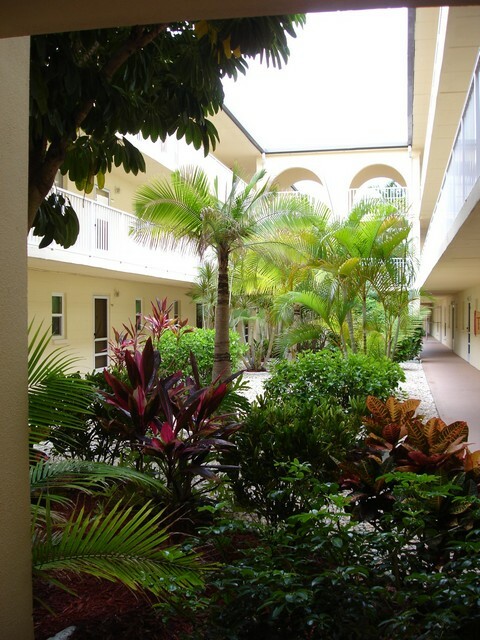 This building has on-site management, who has taken great care to maintain this community including the tropically landscaped courtyard which is a delightful surprise which can only be viewed once you step inside this special property. 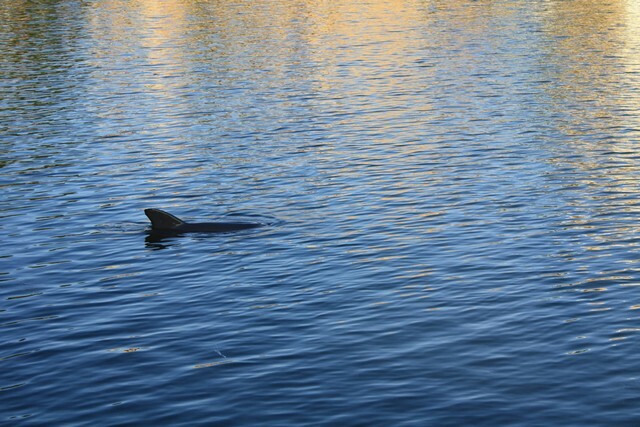 Dolphin spotted swimming around the building! This home is ideally located to enjoy everything the Florida lifestyle has to offer both on, and off the water. A short drive or bike ride down the causeway will take you to Honeymoon Island State Park where you can enjoy the award-winning powder white sand beach. Or take a quick boat ride over to Caladesi Island to experience its serene beach and nature all around. Just down the street, you can access the Pinellas Trail, which is popular for running and biking and runs throughout the many communities that make up Pinellas County, Florida. There are many shops and restaurants nearby. The famous seafood restaurant, Frenchy’s of Clearwater Beach, has just signed on to open its first restaurant outside of Clearwater Beach and it will be just a few minutes walk from this home! 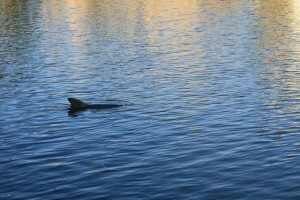 The popular and charming destination of downtown Dunedin is just a couple of miles south. You can hop on your bike and ride the Pinellas Trail down, or in a just a few minutes you can arrive by car. It’s a great place to enjoy a meal at one of the outdoor cafes and check out the eclectic shops for one of kind finds. Downtown Dunedin takes advantage of the fabulous year-round weather and hosts outdoor festivals throughout the year; including wine/art walks, craft fairs, farmer’s markets, antique fairs and holiday events. This convenient location is only a few minutes drive to grocery and drug stores; a 15 minute drive to Westfield Countryside Mall with a Cobb movie theatre and all the stores you could possibly need including Macy’s, Dillard’s and J.C. Penny. And, Tampa International Airport is approximately 30 minutes away – if you really have to leave this wonderful place! Check out the YouTube video of this property! If you’ve decided to sell your Florida home, getting it in tip top shape isn’t optional, especially if you want to get top dollar. You can start home staging on your own, with some of the tips below, but your best bet is to then have a great realtor come in and do a good walk through to see if you missed anything. The first things you need to do in getting your home in shape to sell is clean and declutter your home. Realistically you will be doing both at the same time. Go room to room and look around. You should be taking down and packing up at least half of what is in it, and in closets and cabinets. You’re going to be moving and packing anyway, so get a head start. As you are removing things you will see areas of your home that need a good scrubbing or fixing. Getting your home in shape to sell means making your home look less personal. Personal things should be the first to be packed. Buyers want to be able to picture their things in the house, and seeing your family pictures and memorabilia everywhere will make that difficult. Clutter also makes rooms look and feel smaller. Small doesn’t get you top dollar, spacious does, so the more it feels spacious, the better. As you pack, scrub. The cleaning should be a deep, floor to ceiling and everything in between cleaning. Under furniture, in closets, behind doors because buyers look everywhere. Steam clean carpets, wax and buff hard woods and make every surface gleam. Fixing things in the house helps you in getting your home in shape to sell. Once things are clean and decluttered, you will probably see things that need fixing. Fill nail holes in walls, spackle and touch them up. Chipped paint on door jams and woodwork are noticeable and make things look shabby. If you find that the touch ups don’t match the paint on the wall, repaint. This is especially true if your walls are dark or bright colors. Neutral is better. Make sure cupboards open and shut, that their doors are level and match and that no faucets are dripping. Bedrooms and baths should get new linens. Find bedding that looks modern and minimal. Now you should have your realtor come in and let you know what still needs to be done. The owners that follow our advice frequently sell faster and for more money than they thought they would get! If you’re thinking about selling your home, the lure of saving the money you’d have to spend on a commission to a Realtor is tempting. Don’t be tempted. 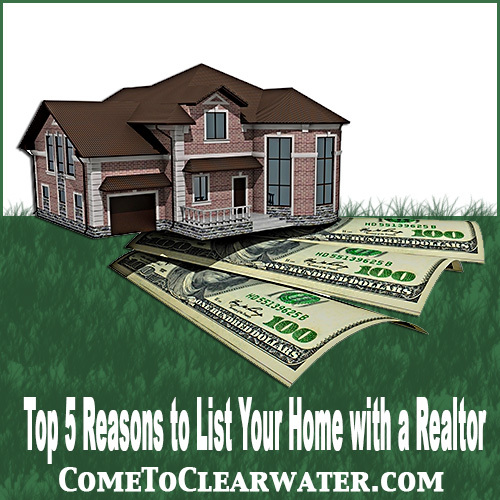 There are very good reasons to list your home with a Realtor and here are a few good ones. Let’s start with someone to look out for your interests. A Realtor is bound by a code of ethics to do the right thing. That means putting you, their client, first. They have the knowledge of things like issues you have to disclose to prospective buyers. They can tell you what you need to do to get the best price, and market your property at its best price. They will also be the ones to negotiate with others. A Realtor is your advocate through the entire process; from listing, to showing, to negotiating, writing the contract and settling on the property. They will know reputable people to handle all the details like inspections and settlement. If you list your home with a Realtor, they will get you the best price. Statistics show that people who sell with a Realtor get about 16% higher selling prices. That means you are an average of 10% ahead of the game even after the commission is paid. They are well-versed in the market. They know inventory levels, how long it’s taking to sell and what differences are between listing and selling prices. All of this is important when making a decision on accepting an offer or even what to list your home for. In this day and age you also need to consider who is coming through your home. You are guaranteed that each person that enters your home is accompanied by a licensed Realtor. This means you don’t need to be there. It also means that someone who might be thinking about committing a crime will be deterred by the pre-showing questions about qualifying as a buyer, or at being accompanied in your home. Don’t be tempted, be smart. 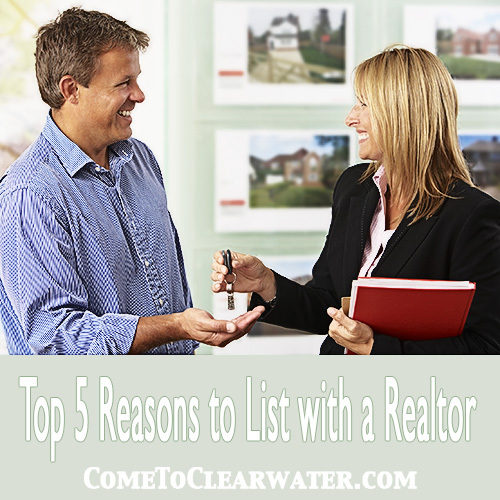 List your home with a Realtor. Selling a Clearwater Beach property is much like selling any other home, except for the fact that there are some really good upsides and just a couple of downsides to consider! Clearwater Beach is a great location for living, and is filled with both second homes and vacation homes. There are areas of high concentration with high rise condos and even some back of the path areas that buyers may not know are even there. 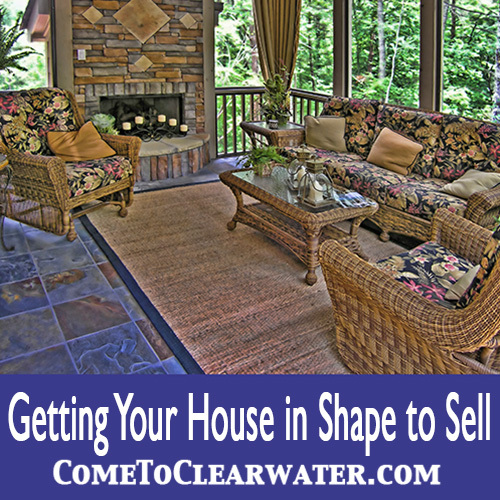 As a Clearwater Beach seller, your Realtor needs to know how to reach the buyers who are out there looking for these types of properties! One of the best ways to do that is to make sure they have a strong presence on the social media and that they are using those channels to help sell your home! Another thing to ask about is if they have listings in the area. The reason this is so important is that listings up and down the Clearwater and St. Pete Beaches means that they will have a pool of buyers available who expressed an interest in other beach properties and who might not have bought yet. Additionally, when you are selling in this second home, vacation home market, you need to make sure your listing is top notch as the buyers in the higher end markets are looking for turnkey and ready to move in! Make sure to get your home spruced up BEFORE putting it on the market to get the best sale price. If you are in jumbo loan area (over $417,000) it may pay to lower your price to just below that so that buyers can use conventional mortgages. Finding out about insurance rates and required flood coverage can help alleviate fears of buyers. KNOW the HOA rules if you are selling a condo, nothing looks worse than not knowing if they can have their beloved pet or not. Consider having a pre-home inspection and repairing all the items on the list. Knowing that your home is in tip-top shape can make yours the one they choose. Pick a Realtor wisely. You need to know that they have a good relationship with the other beach agents AND that they have a strong listing business with years of experience negotiating on your behalf. When searching for homes, you will often find buyers agents who do an amazing job of helping buyers, but you need to know that your realtor is a selling agent who works primarily with listings!